iamafeeder.net » Hallo Hong Kong-Ah! Frying an egg on the Teppanyaki hot plate at Matsubishi, Convention Plaza. I bet it was seeming like you were never going to hear from me again, eh? Well you don’t get off that easily! As I write this I’m sitting in my grandmother’s apartment, looking out over Causeway Bay, I’ve just come back from a delicious Indonesian lunch with the wonderful Rita, SC and their 4-month-old baby Lil’ Marcus (who is totally adorable – I nearly took him home with me!) and though I’m feeling a little sleepy (Hong Kong will do that to you), I’ve been having an awesome week. So what exactly have I been doing for the six days I’ve been in Hong Kong? Duh: eating, and oh how I’ve been eating. The thing about Hong Kong is that the choice of food is so eclectic: it’s not all about eating in the big name restaurants, or only eating Chinese food. There is so much choice because there are so many people, and everybody has a different background. 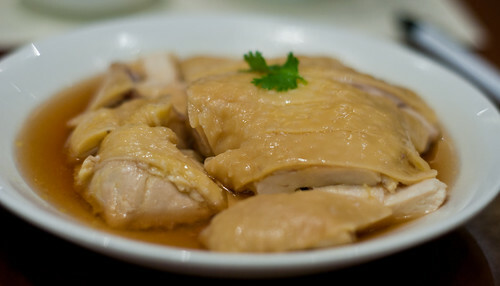 Don’t limit yourself by eating only the HK Michelin starred food, or only the places that are “amazing” but barely anybody goes there: in other words, don’t be a food snob. Eat up! Eat up good! Sometimes the most amazing meals can be found tucked away in the nastiest, most ghetto neighbourhoods, where even as you eat your snake soup (more on that later) you’re convinced the triad are going to pop out from behind one of the cages of live snakes and kill you. Probably with a snake. Maybe with throwing stars. Or is that too ninja? Instead of giving you a blow-by-blow account of every single thing, I’m just going to give you a foodie photo round-up. Having said that, I’m saving some stuff because have I mentioned I’m the newest food writer for London-based magazine The Arbuturian? Oh yeah. 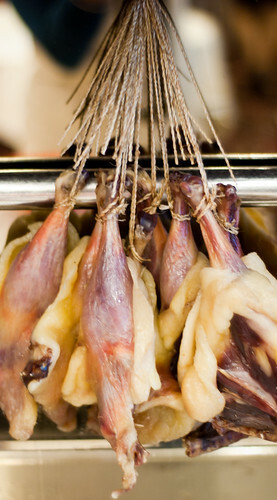 There are more people being subjected to my writing, photographs & ramblings about food. Follow along with my Food Odyssey at the magazine’s site, where tidbits from my best (and possibly worst) food experiences will be published. You can read the first installment here. The second is now live here. So. Without further ado. I present to you: FOOD. 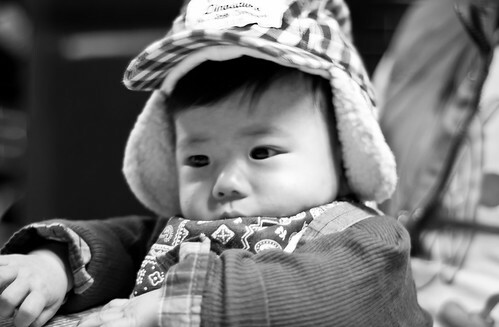 All photos can be found in a larger format on my Flickr. (This place is excellent. Every time we’re in Hong Kong we go here for Teppanyaki. Highly recommended. Around HK$300/person). 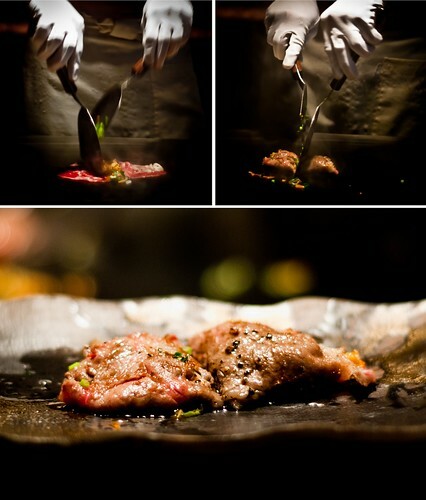 Cooking Teppanyaki style beef rolls, filled with crispy garlic and spring onion. (This place was okay for food, fairly standard stuff, but the service is pretty good. Around HK$300/person). 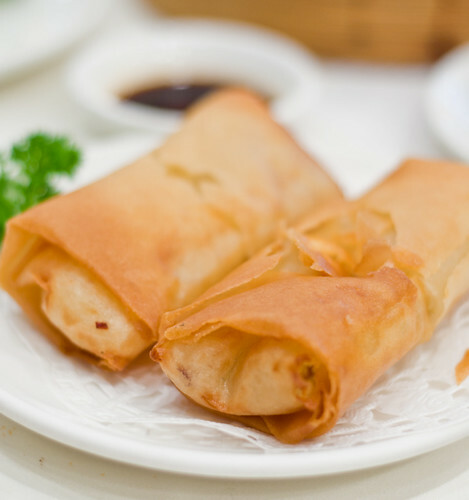 Pot stickers & spring rolls, filled with turnip. From the top left, clockwise: har-gao (steamed prawn dumplings), siu-mai (steamed mixed pork & prawn dumplings), char-siu bao (barbecued pork buns), sui jing gao (steamed crystal dumplings with prawns & vegetables). 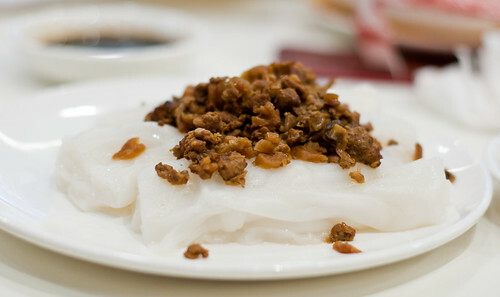 Cheung fun (rice noodles) filled with yau char kwai (fried dough biscuit) & cheung fun with preserved vegetables. 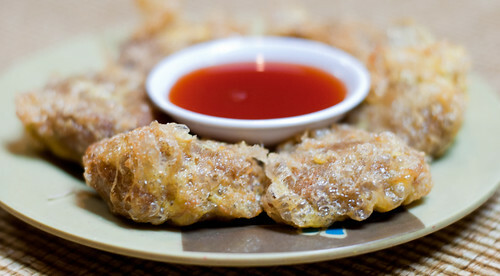 Wu gok (crispy fried taro dumpling). 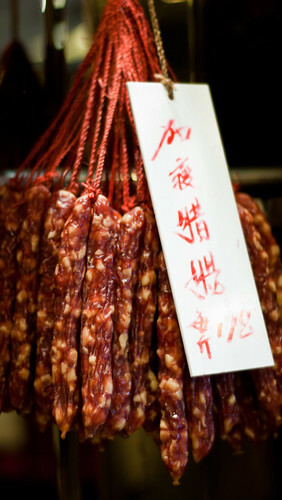 Preserved duck & preserved Chinese sausage. 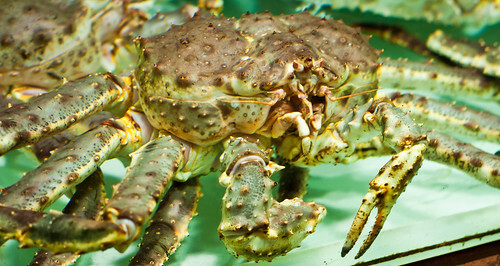 Pick your own dinner: both of the fish and the crab are actually enormous. 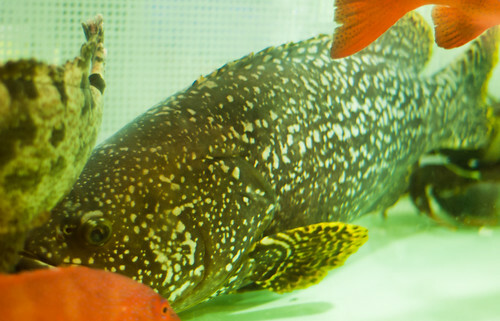 The fish on the right was bigger than my arm span and its head bigger than mine! The crab’s head was about the size of my head! (This place was very good; recommended. Apparently they have a Michelin star! Around HK$250/person). 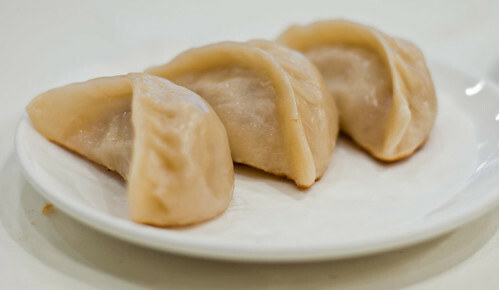 A how-to guide to Xiao Long Bao (Shaghainese soup dumplings) & essential condiments. 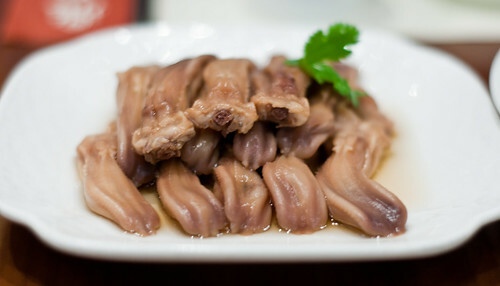 Duck’s tongues & drunken chicken. 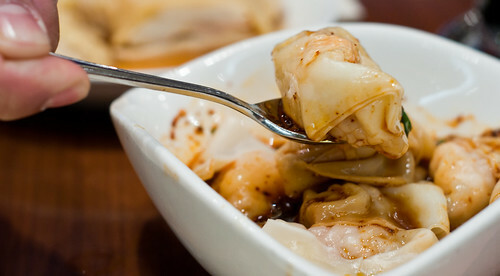 Shaghainese prawns & pork and crab roe xiao long bao. 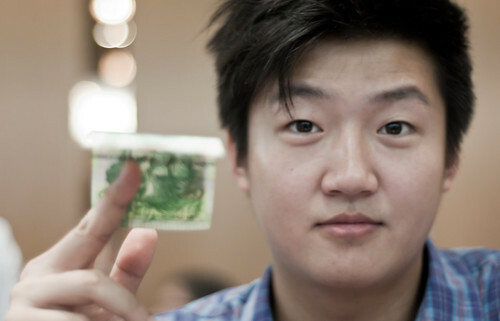 My boy Kevin, the high-roller (that’s a HK$50 note; about the equivalent of £5!). 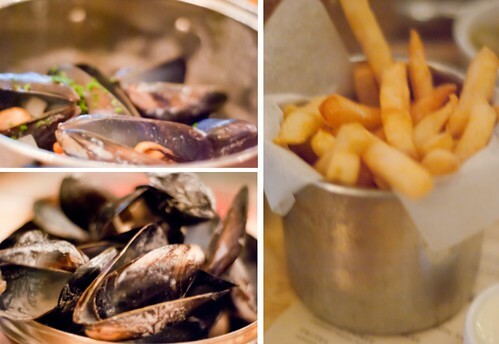 (I really liked it here: excellent mussels and service! Want to go back & try some more of their menu. Around HK$200/person). 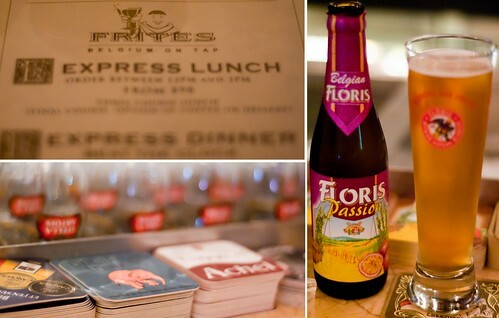 The Frites menu, passionfruit Belgian beer & an array of coasters (so cool). Frites House Classic Moules (with chopped tomato, garlic & herbs in a white wine cream sauce) and frites with mayonnaise. 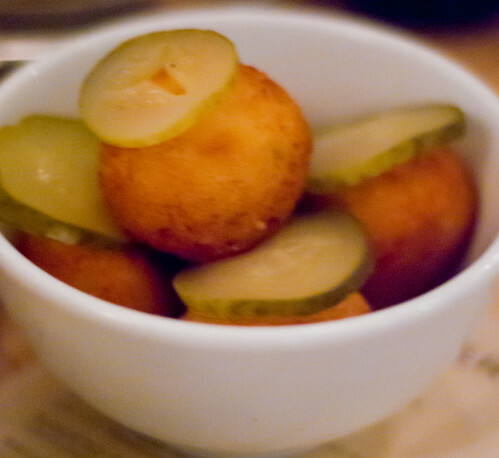 Fried gouda balls with pickles. (This was pretty tasty, there are apparently better places to get Indonesian food, but I was with the girl-in-the-know who ordered all the right stuff! Around HK$150/person). 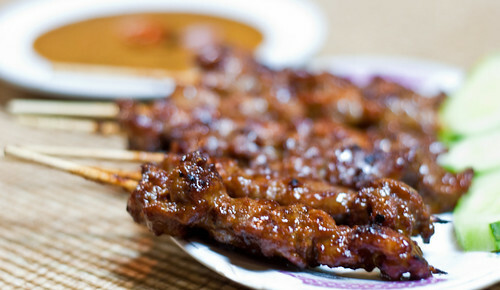 Satay & fried potato and beef cakes. 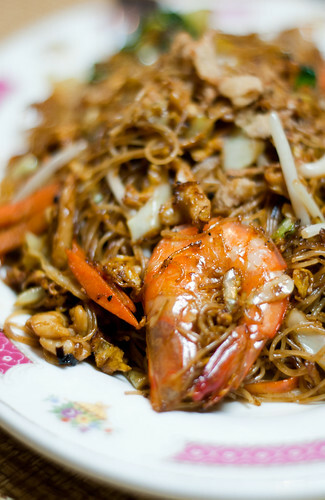 Beef brisket & fried noodles with prawns and vegetables. 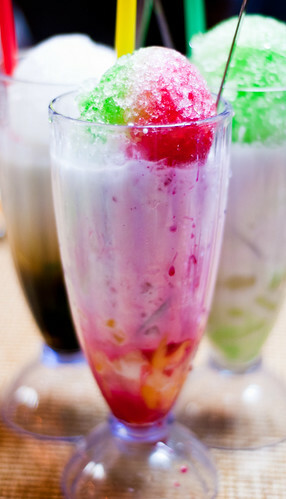 “Famous” fried chicken wings & a selection of traditional Indonesian iced drinks/desserts. Lil’ Marcus, the best-dressed baby in town! 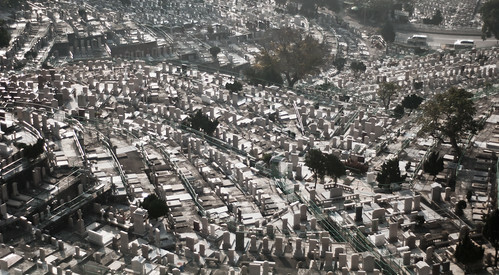 My Goong-Goong & Po-Po’s (maternal grandparents) ashes are housed in this cemetary, but it’s absolutely huge. Really quite the sight to behold. These photos do not do the scale of it justice. 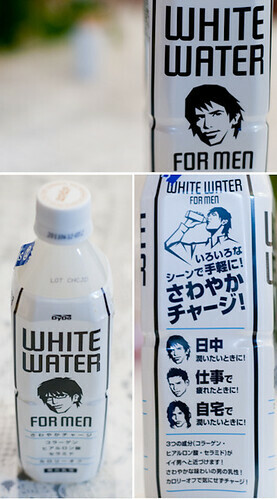 White Water For Men: now available for all hair types… the Japanese come up with some crazy beverages (found at Sogo mall, Causeway Bay). That’s all for now. I’m going to Macau tomorrow with a couple of friends to pick up a work visa for one of them. 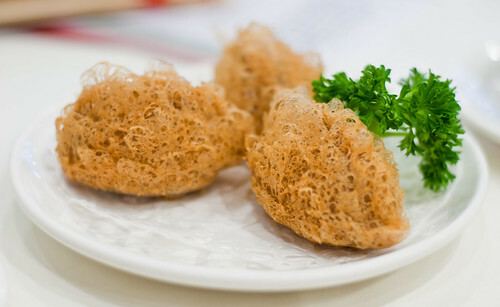 Macau is not only the big gambling city (it’s like a mini-Vegas), but also a huge foodie town. I’m only going for the day but I plan on taking a plethora of photographs (and stuffing myself silly). I’ll post again before I leave Hong Kong on the 20th (only 5 days left!) so until then, peace and love. You come back now, yes? Sorry, I’m just being silly. After all those amazing pictures and seeing what a great time you’re having and food experiences… I should just come to you. 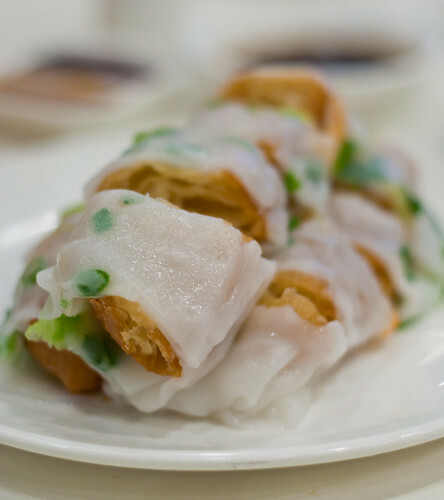 You demonstrate the great variety of cuisines in Hong Kong. 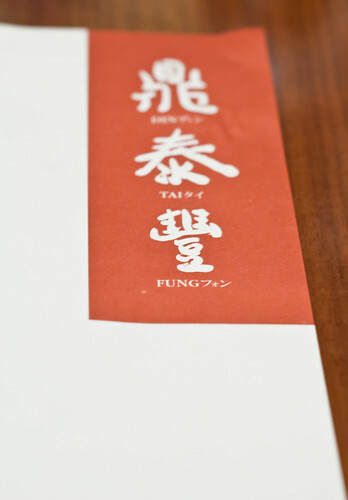 I wish I got a chance to dine at Din Tai Fung. I’m really hoping to make it to Asia this year and this post has just made me even more desperate to visit. Safe travels! Aiya Mui Mui ah! You eat too much! 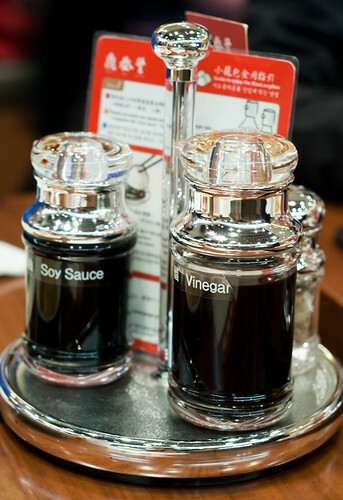 Make sure you eat one plain(ish)tofu dish – to acclimatise your tummy to local fare. 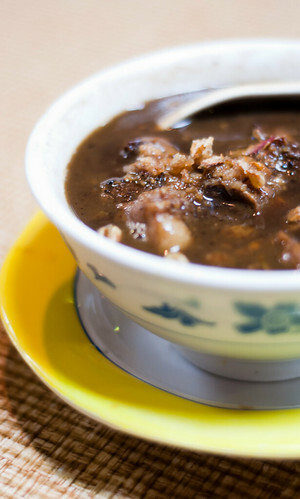 Dou-fu is made with local water and it will settle your system. Guarrantee it will stop Delhi Belly type ailments in their tracks. seems like you’re having too good a time out there. I’m going to have to ask your editor to make you work harder. Hmm, maybe not, I know what his interpretation of hard work is! – Anyway, I have always wanted to go to Hong Kong ever since I was a wee lad in boarding school since I had several Cantonese friends. Completely agree with seeking out some of the tucked away places though – we did the same thing in Bangkok and had some of our best meals in the roughest parts of the markets. Please grab us a bottle of that white water would you, sounds like the thing to be having – even with my hair type. Looking forward to catching up on your future instalments! Wowza. Looks great. Looking forward to read more from you ;) I says Hi. Brother from another mother. LOL at Momma Lee’s comment! What a great roundup – can’t wait to read more about it. 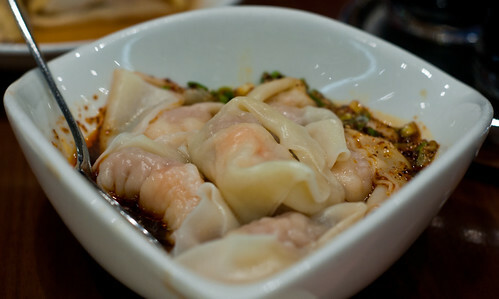 I spent a summer in HK, teaching in 1999 and LOVED the food even back then, pre blog and all! Loving living vicariously through your adventures! What a great adventure so far! Keep the travel posts coming! 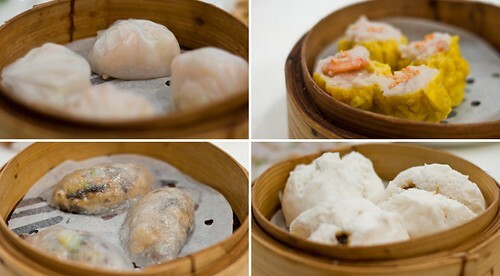 I’m drooling over the dimsum pics! wow!!! you are having way too much fun and good food!!! What an incredible display of foods, that is great that you can have such a variety of dishes to choose from….It must be a fun city to be in!! Keep taking pictures and have a wonderful time! I can’t believe that’s less than a week of eating. I think I gained 5 pounds just reading and viewing the pictures! Make us proud, keep it up! Oh I loved this photo update. You are eating well, my friend. It must be so fun to explore a city with so many different culinary options. 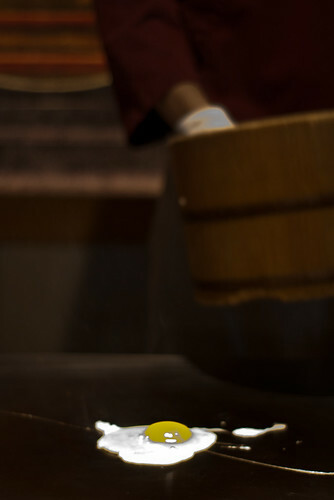 The teppenyaki pictures are so neat! I hope you continue to have a great time with your family and your friends. Much love! Un-freaking-believable. I’d comment on the photos, but if one regular picture is worth a thousand words, then I’d have to write some sort of thesis. And frankly, I just don’t have time to write a thesis today – I mean, the works cited page alone would take at least an hour or two! I also read your wonderful articles on the Arbuturian!! Amazing. Not to mention im ULTRA ULTRA ULTRA SUPERDUPERLY jealous of your destinations! !….look forward to more…esp the yummy pics! lol. Congratulations on the Arbuturian! Loved your write-ups! And all of your eats look amazing! 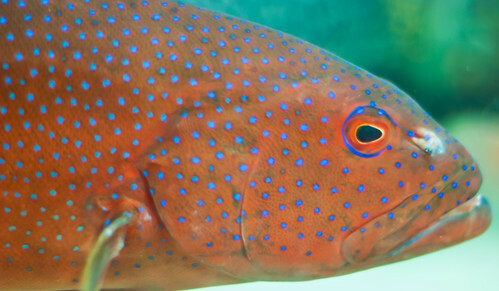 Eye-candy. Man, you ate well in HK! 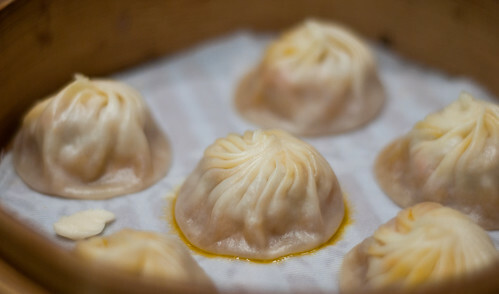 You know I love my Din Tai Fung, though I have never tried the HK one before. Lovely pictures, and Momma Lee is too funny!! You are KILLING me. Why Have I not been to HK yet? 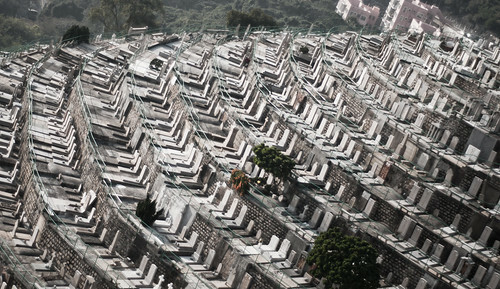 Thanks everybody – if you can, get to HK! Do it! 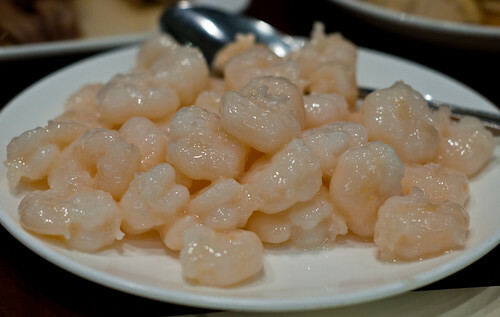 HK is AWESOME & TASTY. i hope you had a cleaver wrapped in newspaper tucked in your jacket so you could “pack yao” with the rest of the “huck seh wui”. wow those are words i never thought i’d have to spell out in english… hahaha. 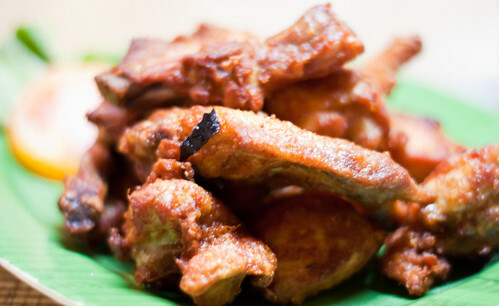 let’s chat about all your good eats when you make it out to this neck of woods!